Blade Guitars (Designed by Gary Levinson and manufactured in China) was created in 1985. 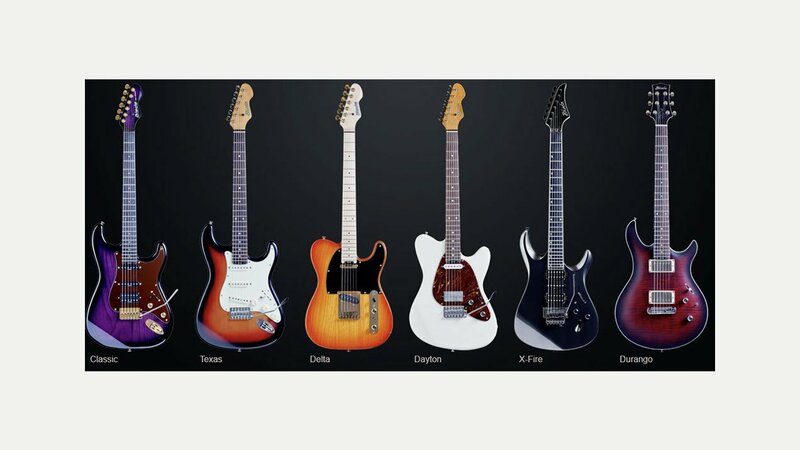 In 1986 the idea of a line of electric guitars built on the concept of “Classic Design, Creative Technology” was being refined and the features needed to make the line unique were determined. In 1987 a manufacturing alliance was made to bring the highest integrity in build with the most innovative developments. By October 1987 the first instruments were shown at the music show in Tokyo and the Frankfurt Musikmesse. 1988 heralded their launch into Europe. Today they produce a range of electric solid body guitars (including original designs as well as Stratocaster and Telecaster models) and basses.